Top 10 Highest Paying Jobs in America - How Much You Earn? Have you ever been in Job Hunting grounds? If you are the one who recently completed your education and looking for a very good job in America, probably you have reached a perfect place where you’ll come to know which are the top highest paying jobs in America. Whether you are looking for your career’s first job or you are already having a job and need an even much better job to support your family expenses and income, you must be wondering which are the top highest paying jobs in America? 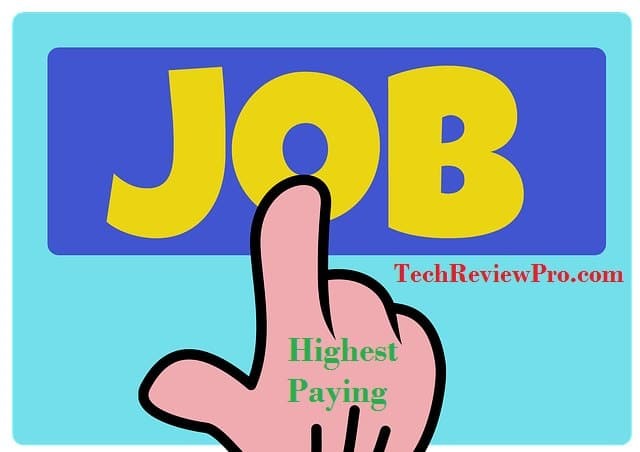 “One thing is common among all job seekers – they all want highest paying jobs” – Rahul Dubey. Though there is a primary myth that you are required to have a bachelor’s degree to have a lucrative career but let me tell you “Don’t take these lines for granted“. Because there are many career options for you where you can earn high even without having your bachelor’s degree. Yes, it’s quite true that people having bachelor’s degree typically earn more as compared to those without having bachelor’s degree. But this is definitely not the case always and hence either online or offline, you might end up getting top highest paying jobs if you have got enough talent and skills. So if you are one who is looking for top best highest paying jobs in America, let’s see which are those. Though there are plenty of high-paying jobs, the highest paying jobs list is dominated by computer and IT sector as computer & IT sector employees make highest earning out of their jobs. Then there comes the place for airlines pilot who not only fly in sky high but also in earning high through their jobs. However, we have an interesting infographic from SlideShop.com which puts even broader and clear view about the top and highest paying jobs in America along with discussing various aspects like average annual salary and other important stats. So let’s check it out. Loved this infographic ? Consider sharing with your friends on Facebook, Google+, Twitter and LinkedIn. Hope this infographic would help you to know various info about top highest paying jobs in America. Want to add something to this story? Write in the comment box below. Thanks for this vital information. I do always wonder whick kind of job is most available in the United States so that one can acquire the skills before he/she travel there.